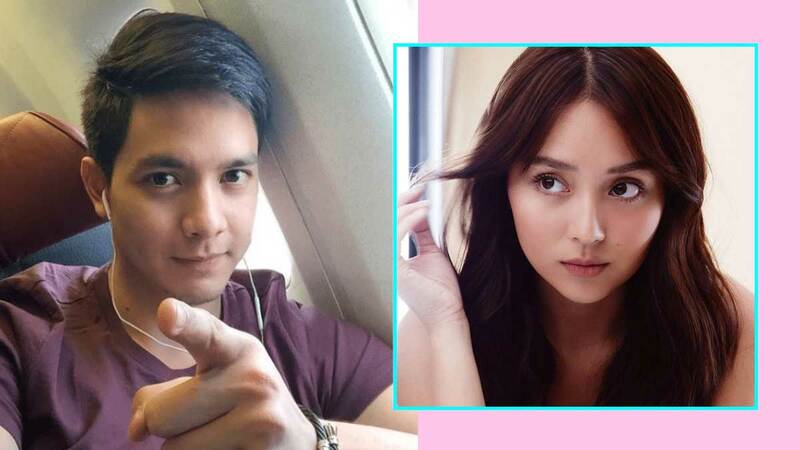 Alden Richards and Kathryn Bernardo have been busy in Hong Kong filming their first movie project together, entitled Hello, Love, Goodbye. From what we know about the film directed by Cathy Garcia-Molina, it's a romantic drama about two Overseas Filipino Workers (OFWs). Apart from that, we can only guess what the movie is about, based on the photos surfacing online so far, showing Alden and Kathryn dressed down and totally in character. 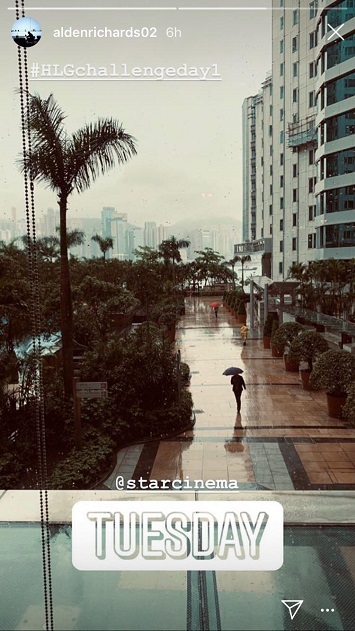 Looks like the cast is having fun so far, based on this post by Kakai Bautista, where she tags the rest of the "HK Squad," Alden, Kathryn, Maymay Entrata, Joross Gamboa, Lovely Abella, and Jeffrey Tam. 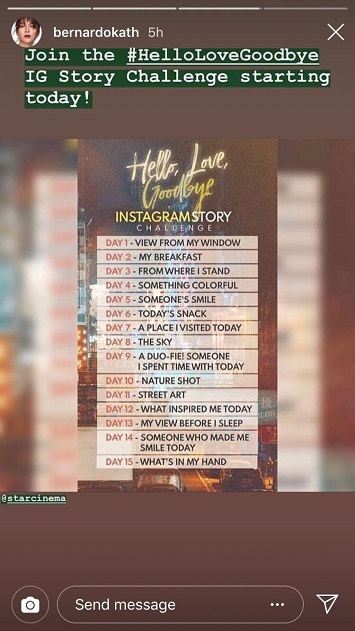 Today, Alden and Kathryn took to Instagram stories to invite netizens to take part in the Hello, Love, Goodbye Instagram Story Challenge, wherein users have to post a different themed IG story per day, with the hashtag, #hlgchallenge. 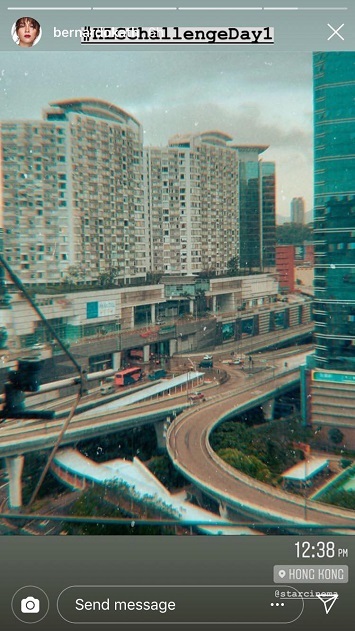 The two shared their own entries to the challenge for Day 1: "View from my window," which gives us a glimpse into the rainy weather in HK. 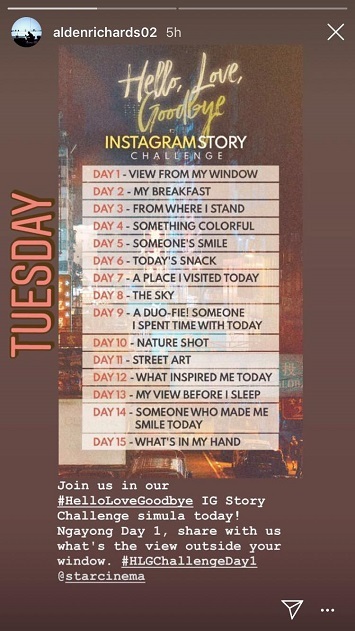 It looks like the challenge will coincide with the rest of Alden and Kathryn's stay in HK. We're looking forward to what they'll be posting in the coming days!